There’s no meal on Anglesey quite like one at The Deck House, Silver Bay. Our brand new restaurant is the heart of great food, fantastic company and unbeatable cheffing talent. 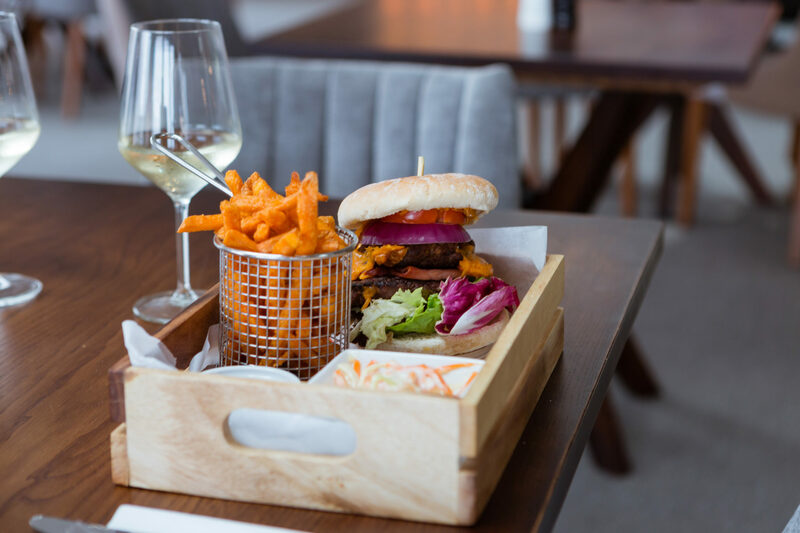 Indulging at whether for lunch or dinner is a real pleasure, and we cater for all tastes, providing both vegan, vegetarian and free-from dishes, and hearty favourites too. So no matter what you’re craving, we’ll have the dish for you. As spring bounces into season, we’ve launched a new seasonal menu featuring some of our best plates to date. Journey with us as we explore the seasonal culinary fare below. Our succulent starters and tasty nibbles set the precedent for any meal at The Deck House. Brimming with only the finest seasonal ingredients on our island, our dishes whet your appetite for what’s to come. Feast on crisp, yet tantalisingly soft, locally baked bread with our Focaccia with Balsamic and Virgin Olive Oil dip, or make your taste buds dance with our Homemade Chicken Satay Skewers. Whether you’re vegetarian, gluten-free, or can’t wait to eat everything in sight – we have a starter for you. Because our menu is super fresh, we also offer a stunning Pâté plus a different Soup of the Day, every day. 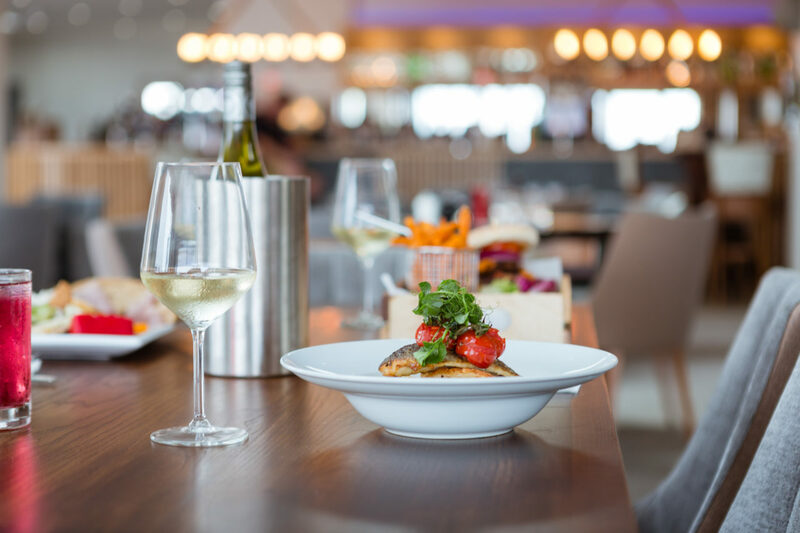 Our chef’s expert knowledge of flavour combinations and how to make the most of the season’s produce is at the heart of both these dishes. . You’ll be more than glad that you indulged! If you’ve done your homework on The Deck House, then you’ll know we’re great believers in supporting local businesses – and why wouldn’t we be? Their quality is second to none, and from local Anglesey butcher to the artisan bakers on our island, we know we’re going to receive an exceptionally high standard of produce that feeds straight through into our sumptuous dishes. Pizzas are one of those items, and are a staple point of our menu. Great for all ages and lunch or dinner, our classic Margarita is filled with gooey mozzarella and a fine tomato sauce. Fancy something a little more daring? Opt for our Hot One and experience spicy ground beef, jalapenos, pepperoni and juicy onions. We serve vegetarian options on our pizzas too, so make sure you peruse the menu to find the perfect dish for your dietary needs. Pizzas aside, we have a range of main courses that you’ll want to devour. Our Pie of the Day is a Deck House classic and changes dependent on the best local ingredients we have. This is served alongside chunky chips and fresh vegetables, offering a balanced, hearty meal. Provided by local butchers, our Jones of Bodedern Gammon Steak and Jones of Holyhead Sirloin Steak are hard to refuse. Each dish is served with fluffy, golden chips and a range of veggies that’ll slice right through the rich meat – perfection on a plate. We believe vegetarian dishes are some of the tastiest around – providing you know how to do them right. Luckily for meat-avoiders we’re big fans of creating innovative vegetarian dishes that will make your dinner pop with flavour. Our Vegetarian Special Curry is a lovely addition to your table and features seasonal veggies and a classic Indian poppadom, mango chutney and a choice of rice or chips. Or if you fancying bringing a piece of Italy into your Deck House dining experience, why not order the vegan-friendly Homemade Aubergine Meatballs? They’re served in a balsamic and basil sauce on a bed of supple linguini. You’ll feel like you’re in the heart of Rome with the sun on your shoulders as you dine on this Italian, vegan dish. We like to make sure your little ones get some goodness in them with a meal at The Deck House, so we endeavour to do our best and serve up a balanced meal for children. Beef burgers are a popular choice, and because they’re locally sourced and 100% beef, you can rest assured that you know exactly what your children are eating. We’ve recently been awarded 5-stars on our hygiene rating here at The Deck House, and that’s because our quest for perfection goes beyond our dishes and towards the care of our kitchen overall. It’s this attention to detail that enables us to create flawless, delectable meals time and time again, ones that will ensure you’ll want to come back for more. To view our menu in full detail, click here. Also make sure you keep an eye out for a brand new Deck House announcement in the near future! The weather on our island follows the path of quintessential British seasons. From the long, warm summers to snow coated winters, each season brings something new and fresh to the table – and we adore them all. Below we’ve outlined the average temperatures you can expect during your holidays on the island, as well as some stunning photography captured during the seasons we love the most. We even discuss the wildlife that thrives, as well as the best seasonal events to mark on your calendar! Spring is the beginning of something special, the time for fresh starts and beautiful, blooming flowers. Moreover, on Anglesey, our island is transformed into a natural paradise. Animals appear from their winter burrows, and the sense of new life and beginnings is everywhere you look. Stretching between March, April and May, the temperature highs reach between 8, 11 and 13 degrees Celsius – perfect conditions for stepping outdoors and exploring the beautiful nature right on our doorstep. Daffodils will be blooming across the island during this time of year, as will breath-taking, brightly coloured tulips. Spring also sees some magnificent events on the Isle. This year Mother’s Day will be falling on March 26th, and we’ll even be hosting a special Mother’s Day lunch at The Deck House. Water wildlife is thriving in spring, and visitors to the island can expect to see dragonflies and butterflies fluttering across the picturesque, spring sky. Nesting colonies also appear on the coast of Anglesey, and are the perfect spot to witness a wide range of marine birds. As far as springtime events on the island go, we welcome back the Farmer’s Market down by Menai Bridge on the third Sunday of every month. The Vintage Rally at the Anglesey Showground will also be coming back on the 20th-21st of May, so why not witness the rare and vintage motors under the glow of the spring sunshine? 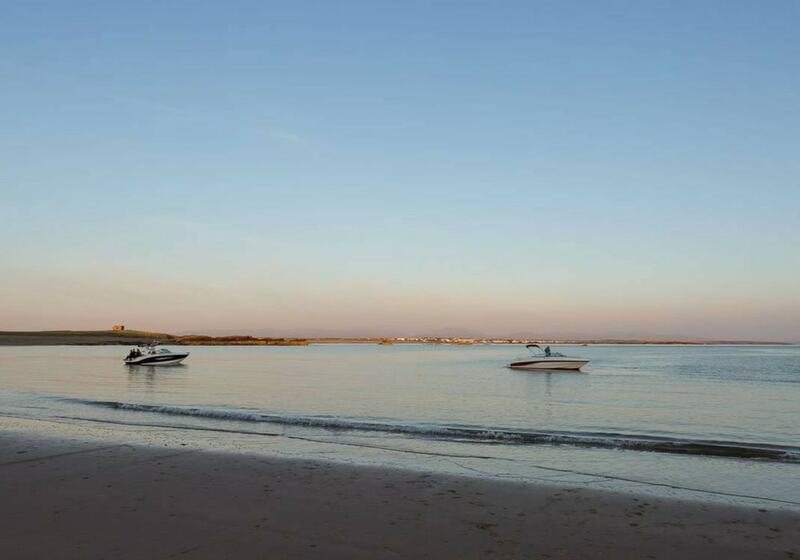 As the temperature rises and the days draw out longer, when summer arrives on the island, you can’t help but feel e Between June and August, visitors flock to Anglesey to make the most of our award-winning coastlines, and it’s the perfect opportunity to dive into new experiences on the sunny Isle. 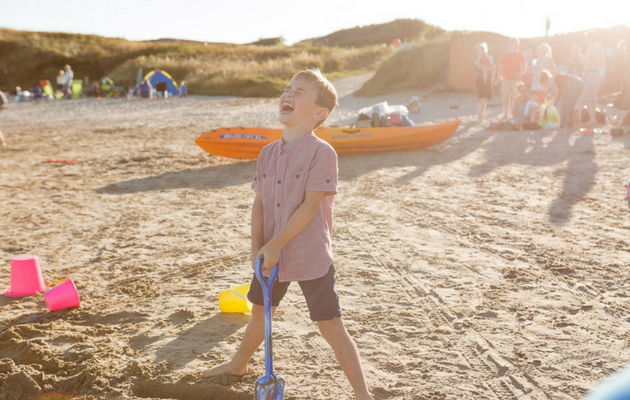 As roses and wildflower meadows bloom across local gardens and heritage sites, and right here at Silver Bay, summer is when the most magical memories of the year are created. Temperatures reach highs between 15 and 17 degrees coupled with the famous Anglesey island breeze. If you’re a water baby, you’ll discover an Anglesey summer is perfect for spending the day by (and in!) the ocean. Dolphins appear on our coast in both spring and summer, and you can see them from the coast or take a lovely boat trip. One of the most popular providers of these trips are Seacoast Safaris, and although dolphin sightings can’t be promised, you’ll definitely be able to see some puffins over on Puffin Island. As usual, we’ll be hosting our annual Summer Party here at Silver Bay Holiday Village, exclusive to holiday home owners. We’ll also be launching our Tough Beacher competition, our play on the ‘Tough Mudder’ races, as well as reopening our ‘Snack Shack’ down by the beach. When exploring the island, summer activities to note include the ever-popular Anglesey County Show between the 15th and 16th of August which will feature a range of places to shop and view some of the finest livestock around. Also taking place is The Great Strait Raft Run on the 3rd and 4th of June, which is a rafting event held between the slade port of Felinheli and the Menai Bridge designed to raise money for charity. When the air has a little bite and the wind whirls across an abundance of reds and golds, you know autumn has arrived. The sun settles lower in the sky casting a hazy glow over the island, we welcome the autumnal months with open arms onto Anglesey. It’s such a special time of year for whimsical rambles through one of our many nature reserves, and it’s also a fantastic time of year to experience some of the most picturesque views as the island takes on a new, rustic look. Red squirrels appear during these months, spreading from September to November, and temperatures start to drop again, reaching highs of only 13 and 10 degrees celsius. Salmon also flourish during this time of year, and many can be seen jumping out of rivers all over Wales – and the Menai Straits are a good spot for salmon fishing. Seals can also be seen on the coast, so make sure you cast a watchful eye while on your coastal walks. If you’re hoping to spot some beautiful flowers during autumn on the island, you’re in for a treat. Look out for some beautiful Dahlias – Anglesey Abbey tends to be full of these striking and colourful plants. Yet perhaps one of the most spectacular sights are the amber, yellow and crimson leaves as they drift towards the ground, providing the forests and woodlands with a rich carpet of colour. Make sure you explore our woods on site and across the island and enjoy a shuffle over the crunching leaves – childhood nostalgia at its finest. In early autumn, one of the island’s most famous marathons, The Ring o’ Fire will be taking place between the 1st and 3rd of September, making the most of the last of the summer sunshine. We’ll also be hosting our Halloween party at The Deck House yet again, so make sure you practice your pumpkin carving and pick out the spookiest outfit you can find! The final, and perhaps one of the most beautiful seasons on the island – winter is not one to be missed. Stretching between December and February, a chill settles into the air with temperatures reaching to a maximum of 7-8 degrees celsius. And when the skies are blue, but the cold is bracing, it can be one of the most refreshing times to explore the island – especially if you fancy heading to the coast and breathing away those winter cobwebs! Stunning seabirds migrate during this period on the island, so watch out for them painting the sky with their beautiful formations. Porpoises can also sometimes be seen, having a year-round presence along the Welsh coast. Flowers, snowdrops and winter aconites flourish during the colder months. As the trees grow bare these plants breath a sense of new beginnings yet to come, creating a very beautiful sight indeed – perfect for professional and amateur photographers alike. Anglesey is always full to the brim with Christmas events during this time of year. From our Christmas and NYE parties at The Deck House to the Plas Newydd Christmas Fair and Beaumaris Victorian Christmas Markets – it’s a magnificent time to take a trip to our island and immerse yourself in your very own magical, winter escape.